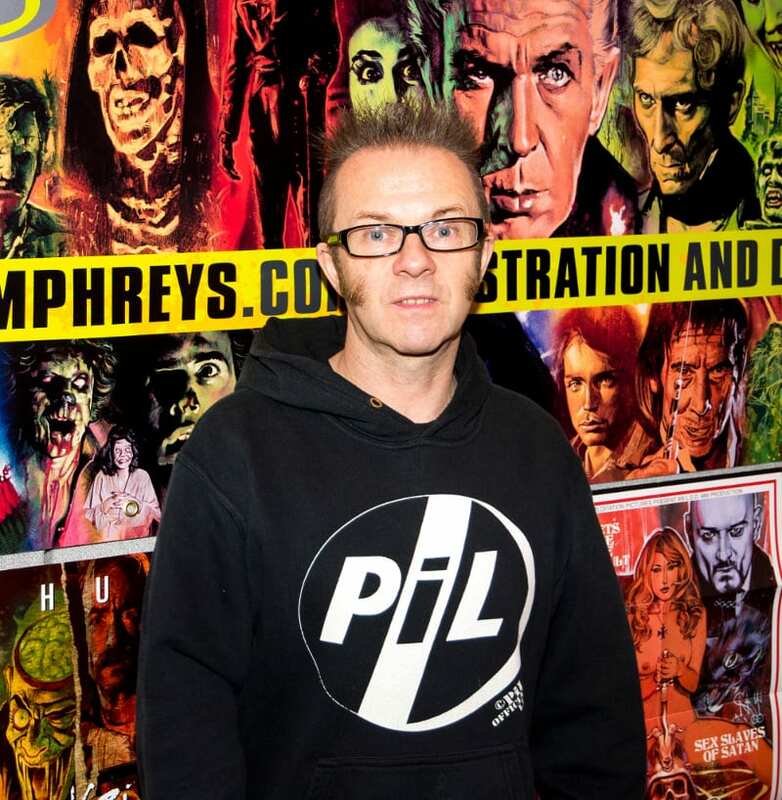 Home » Blog » Celebrities » Christmas » Comedy » Countries » Crafts » Featured Articles » UK » WHO DOESN’T LOVE A CLASSIC HERO? Old heroes never die. And it looks like they aren’t fading away either. 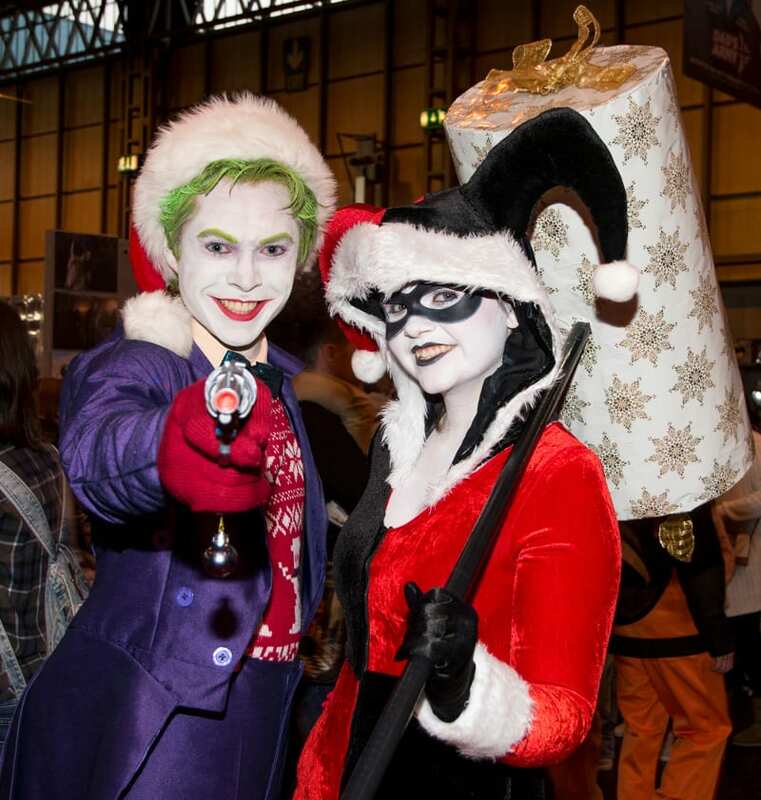 Cosplay fans – those who love dressing up as their hero seem to be giving the likes of Batman, Robin, the Joker and Cat Woman a whole new lease of life. 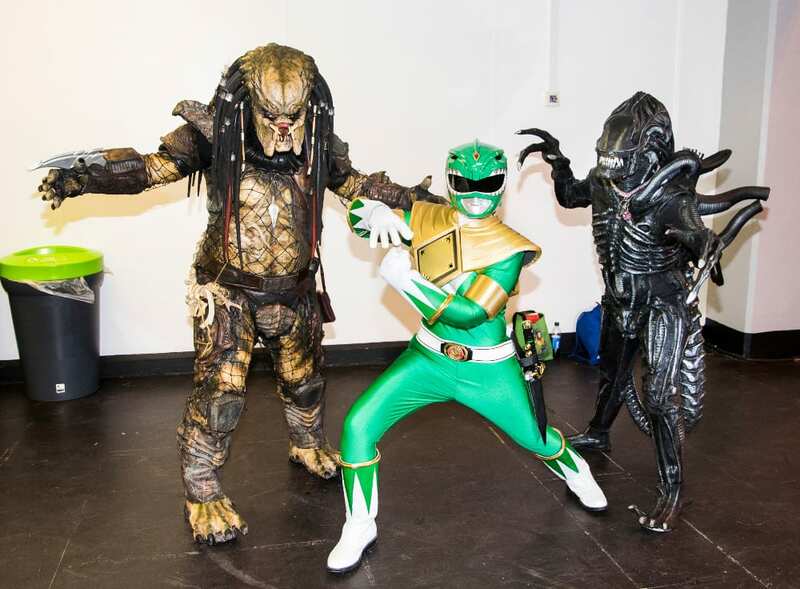 Along with Star Wars Storm Troopers, Jedi Warriors and dear old Darth Vader himself, these classic characters wander through the NEC halls rubbing shoulders with Japanese Manga comic characters and cult heroes and villains from computer games and internet series. 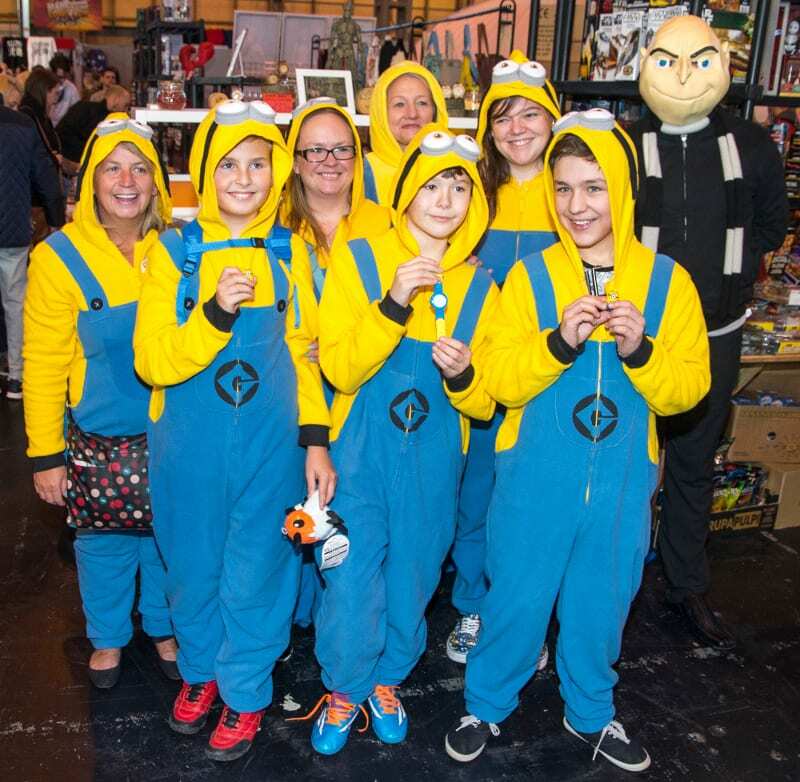 These cheerful costumers descend upon the Birmingham NEC twice a year when the MCM Birmingham Comic Con comes to town. 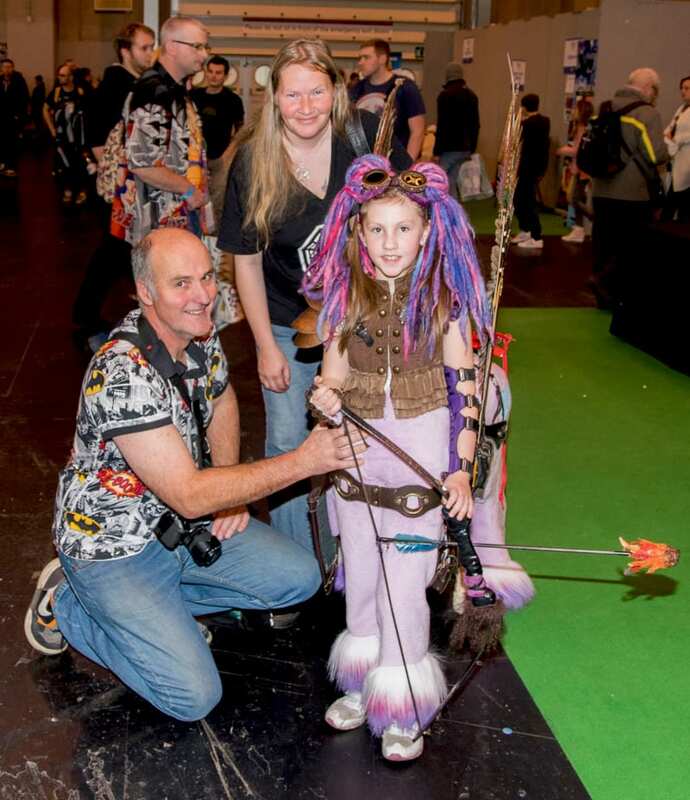 In my opinion the event is probably the most entertaining exhibition held at the NEC, as you lose yourself in the fantasy and make believe worlds. 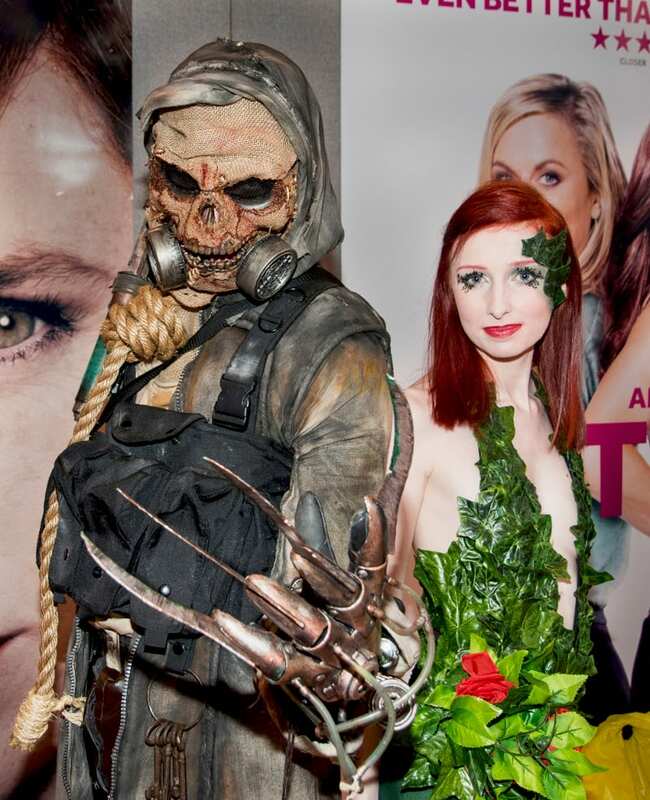 And you just have to admire the incredible costumes and make-up that have been created just for the occasion. 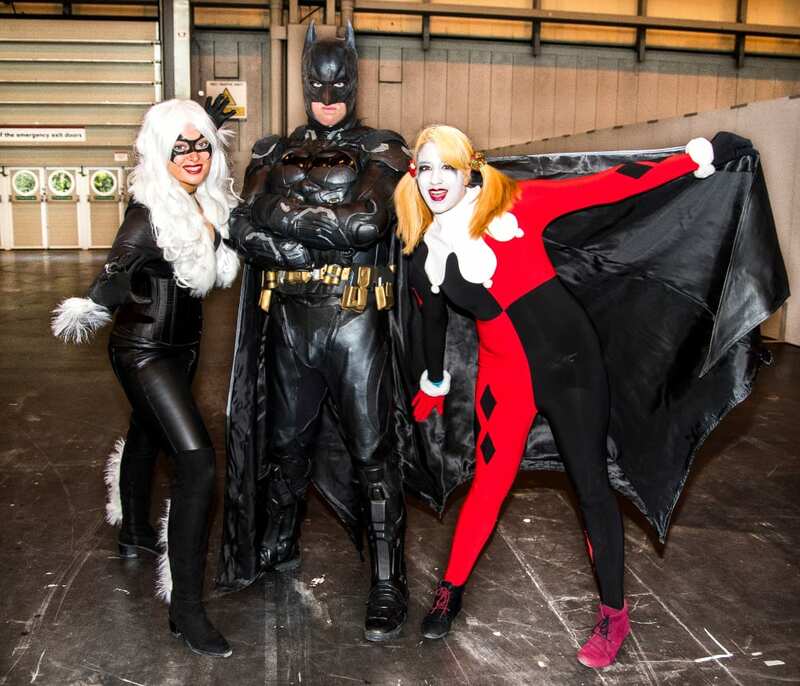 As well as paying tribute to their heroes, the MCM Comic Con also has an array of actors, actresses, writers, illustrators, producers, prop makers and others involved in making the films and programmes we love so much. 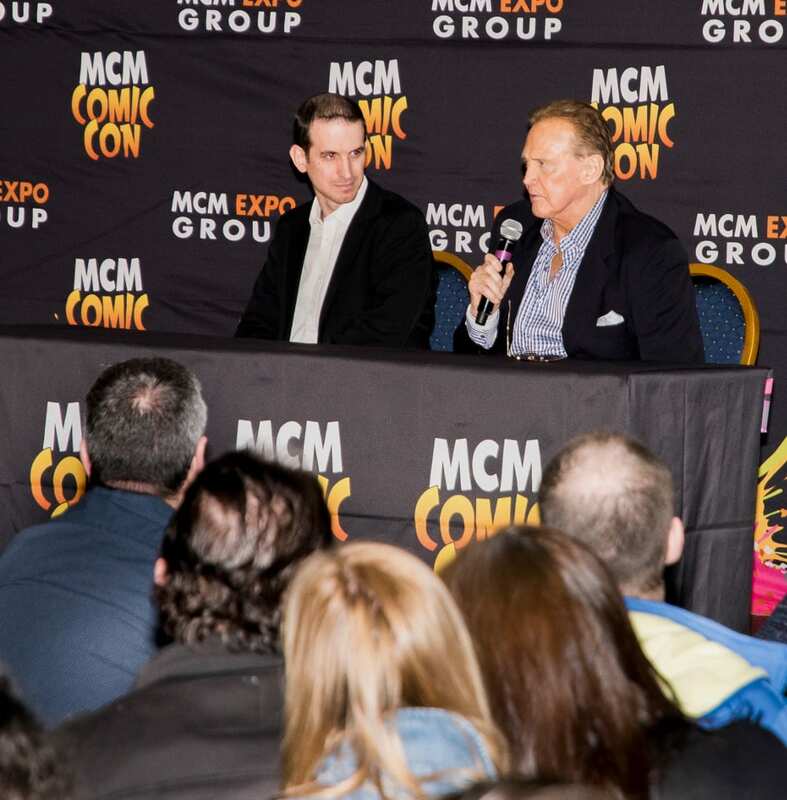 Topping the bill at the November event in Birmingham were Lee Majors of the Six Million Dollar and Fall Guy fame and Liv Tyler famous for her roles in Lord of the Rings and the The Incredible Hulk 2008 film. Plus a host of other top names. 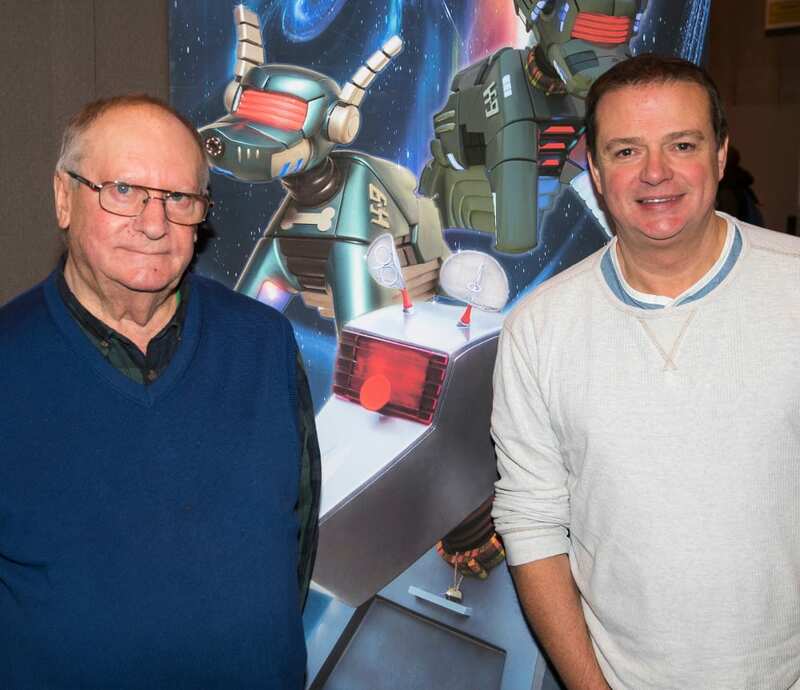 For me, meeting Bob Baker – the writer of my favourite animated characters, Wallace & Gromit, was a special moment. 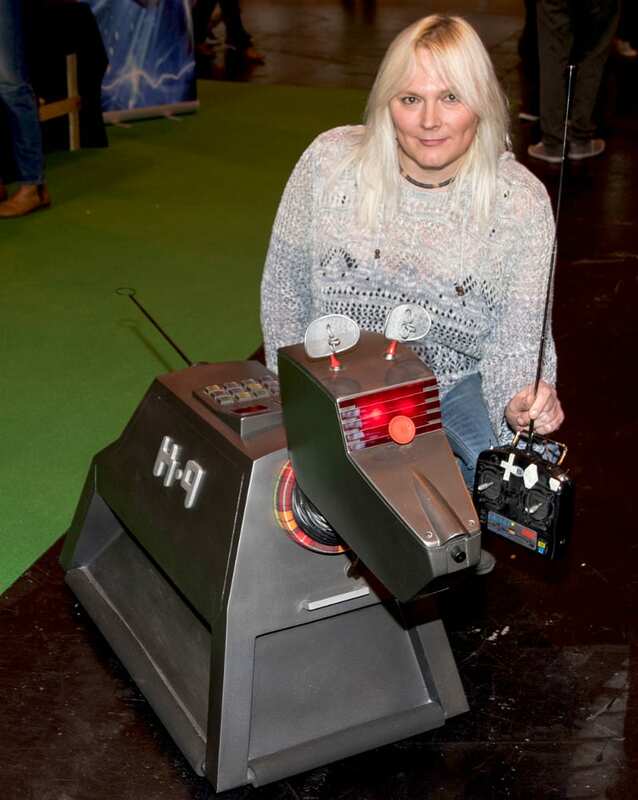 This prolific writer has written for many TV series and films including Bergerac, Z Cars, Shoestring, The Sarah Jane Adventures, Doctor Who and more as well as being the co-creator for Doctor Who‘s famous robot dog, K9. Bob was there with writer and producer Paul Tams. They were signing copies of their book, The Essential Guide to K9 which is very topical at the moment, seeing as K9 is all set to hit the big screens with K9 Timequake. Also involved with K9 Timequake was prop maker, Louise Edge. Louise was working by remote control the K9 she had built, much to the amusement of the younger visitors to the show. “This is specifically built for Bob and Paul, it’s a retro classic, and it’s made from a mix of fibreglass and foam with a lot of electrical junk! 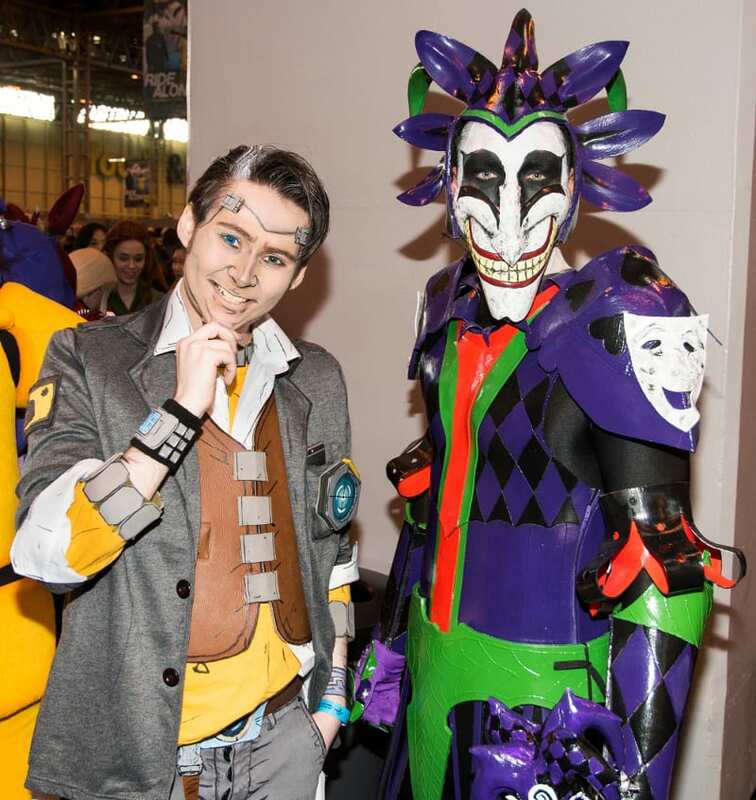 As well as stars, there were masses of stalls selling all kinds of collectables and replica items; and of course there were the cosplay stars themselves. Just everyday people of all ages, who’d taken the trouble to make their own costumes and come as their own favourite hero or villain.